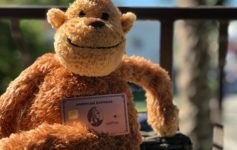 Home » Credit Cards » The 5 major ways the American Express Hilton Aspire card is worth $450 a year. The 5 major ways the American Express Hilton Aspire card is worth $450 a year. 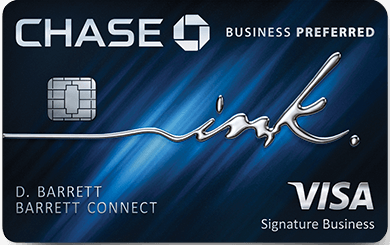 Earlier this year, American Express completely revamped their fleet of co-branded Hilton cards. When they did so, they introduced a top tier, mega perk card called the Hilton Honors American Express Aspire Card. It’s loaded with benefits which I’ll list, but I thought I’d peel off the 5 major ways that the Amex Aspire is worth the $450 a year it charges, and how you can end up WAY ahead on value. Annual based on calendar year. Let’s take a look at these in a further detail. This can be used at pretty much any property in the world and is credited to your account within 8-14 weeks of account opening. You’ll get another certificate each and every year you keep your card. Whether you’re looking to add an extra night to a weekend trip, check out your local Hilton property and staycay, the certificate can add a lot of value to a stay. Especially when teamed with the aforementioned Diamond status – a free night with executive lounge access, an upgrade, and free breakfast? Yes, please. The first two perks are ongoing, but for a limited time, Amex is offering a welcome bonus of 150k bonus after $4k spend in 3 months. 150k points is an all-time high. We utilized just 56k a night to stay at the Waldorf Astoria Bangkok which was an incredible property in the heart of the city. Team this welcome bonus with the weekend night and you’ve almost got yourself a 4 night stay at an incredible 5 star hotel in one of the Asia’s coolest cities. If you are a Hilton loyalist ( forget about the 30 stays/60 nights a year normally required ) this perk makes your life much easier and rewarding. But even if you’re just planning a week or two vacation in the next 12 months, having Top Tier status can save you more than the annual fee alone. With room upgrades, guaranteed executive lounge, and free breakfast – the $450 fee could be paid back to you in just a week’s vacation. 4) – $250 Hilton Resort Credit. The incredibly crazy thing about this credit – not only does it take care of incidentals charged to the room, it applies to the room rate itself. You can go here to search which hotels qualify for the resort credit and remember the credit is based on your “award year” which is determined by when you signed up for Hilton Honors. I just wrote an article about how to utilize and maximize the airline fee credit associated with the Amex Gold card. I’d highly recommend reading this post as this fee credit is essentially the same. Each year ( Jan 1st to Dec 31st ) you’ll get $250 back on purchases made with your selected airline that Amex codes as incidental. If you were to apply now and get approved you’d actually get $250 between now and December 31st, and then a fresh $250 for 2019. That’s $500 right there in the first 12 months of card membership. If you’re interested in the Amex Hilton Aspire – you can use our referral link ( we’ll get some bonus points ) or you can add your’s to the comments below. Appreciate you reading, thanks for the support! I have an Amex Ascend card with a card member anniversary in March. If I opt into the upgrade offer for the Aspire, do it get a free night certificate now, and another in March? Or does the cardmember anniversary reset to whenever the upgrade occurred (meaning I would need to wait until next Oct to get another certificate)? I sprang for this card two weeks ago, so you’re preaching to the choir. Was initially planning to sign up for the World of Hyatt Visa card which also offers good benefits, but the Amex Hilton Aspire is a hotel loyalty CC on steroids.